15-17 December: Attend an Urban Ventures street party, indulge in a Christmas feast, and enjoy a free blowout on Orchard Road! 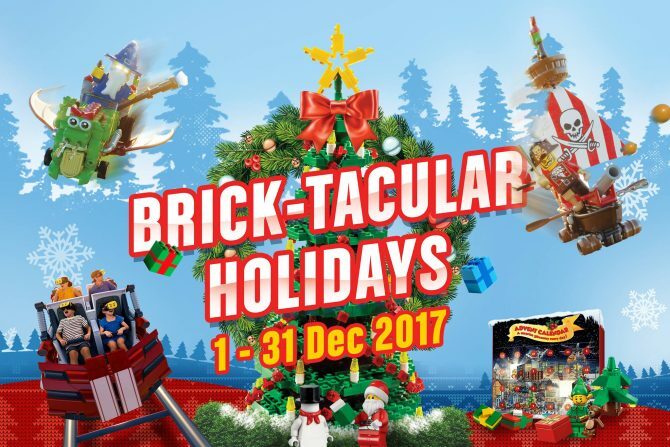 For the whole month of December, guest to LEGOLAND JB will be treated we some of their best signature Christmas activities, like the LEGO® Christmas tree light up and Christmas finale show, as well as world’s first LEGO® VR roller coaster – The Great LEGO® Race. Don’t miss out on the Brick-tacular Parade, featuring an all-new Christmas segment, where guests get to meet the friendly elves and many other LEGOLAND characters!